You are going to Watch Darker than Black Season 2 Episode 4 English dubbed online free episodes with HQ / high quality. Stream Anime Darker than Black: Gemini of the Meteor Episode 4 Online English dub The Ark Adrift on the Lake… Hei and the others landed in Sapporo, taking refuge in an uninhabited part of the city as half of it was previously flooded. Misaki was recruited into the MIAC’s black ops division Section 3 and was given the alias of Yayoi Ichinose. Hoping to learn what happened to Hei, she sought out an informant to obtain information of what happened to him. 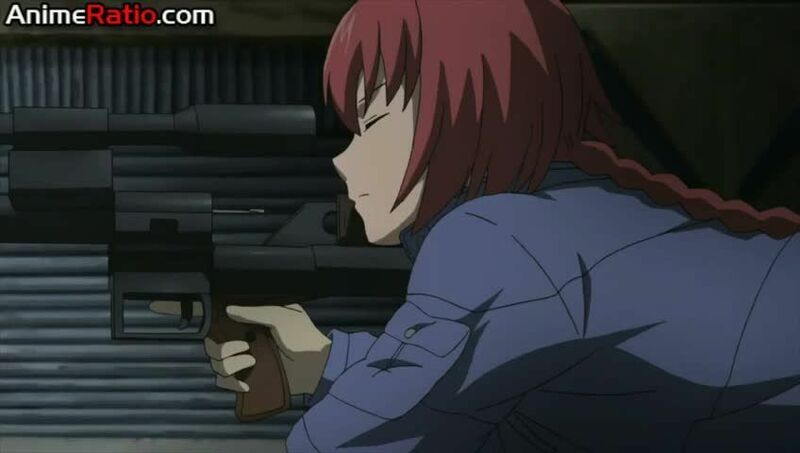 Hei decides to train Suō given that she has obtained Contractor powers after the previous gunfight against FSB forces in Vladivostok. Despite Suō’s hatred to Hei for changing her life, she decides to stay with him alongside July. Meanwhile, Misaki heads to the now abandoned National Observatory where she is confronted alone by Madam Orielle, who knows of her real name aside from her alias.